Ford’s crossover SUV lineup will catch an “ST fewer”. After they introduced a performance-oriented Edge ST, Blue Oval is working on a new, larger SUV. 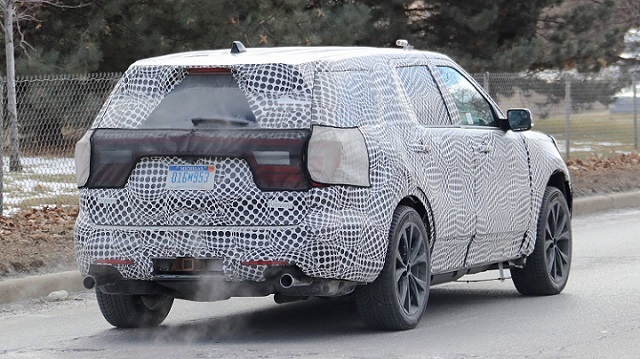 Yes, you are looking into the very first prototype of the 2020 Ford Explorer ST. The testing vehicle is hiding practically everything from us; though bearing in mind how good is the Edge ST the next high-speed Explorer must be simply amazing. The camouflage hides the overall design, but it can’t hide the wheels. In case you haven’t figured out by yourself, the 2020 Explorer ST is featuring larger alloys and performance-oriented tires. Plus, the prototype lies closer to the ground and sports a bit more aggressive stance. 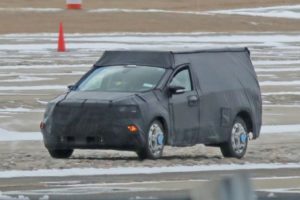 We are not sure whether the ST version of the mid-size SUV is going to get its own grille, yet we know it’s going to host totally new bumpers. 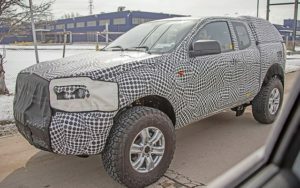 The prototype itself is showing a pair of redesigned taillights, meaning the front end will probably get new headlights as well. 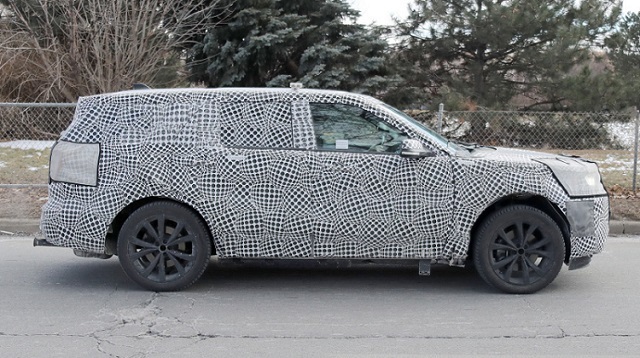 The 2020 Ford Explorer ST will share the same architecture with the regular sixth-gen model. The CD6 platform is highly flexible and lightweight, and essentially rear-wheel-drive. It will be able to accommodate a range of different engines. The base Explorer will probably rely on the current 2.3-liter engine, which might get some additional horses. Blue Oval will reportedly hire F150’s 3.3-liter V6 as well, while the Explorer ST should use a 3.0-liter twin-turbo (yes, the same one that powers the Lincoln MKZ), which will allegedly deliver 400 horsepower and as much pound-feet of torque. The engine will be mated to an eight-speed automatic transmission only, which will feed all four wheels. Of course, the crossover will get a special ST-tuned suspension that will likely improve handling and enable sharper responses.